Not to be confused with the American Geographical Society. The National Geographic Society (NGS), headquartered in Washington, D.C., United States, is one of the largest non-profit scientific and educational organizations in the world. Founded in 1888, its interests include geography, archaeology, and natural science, the promotion of environmental and historical conservation, and the study of world culture and history. The National Geographic Society's logo is a yellow portrait frame—rectangular in shape—which appears on the margins surrounding the front covers of its magazines and as its television channel logo. In partnership with The Walt Disney Company, the Society operates the magazine, TV channels, a website, worldwide events, and other media operations. 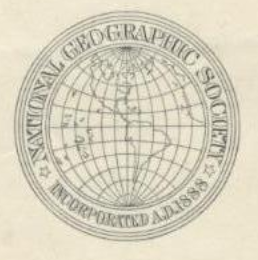 The National Geographic Society was founded in 1888 "to increase and diffuse geographic knowledge". It is governed by a board of trustees, whose 21 members include distinguished educators, business executives, former government officials and conservationists. The organization sponsors and funds scientific research and exploration. National Geographic maintains a museum for the public in its Washington, D.C., headquarters. It has helped to sponsor popular traveling exhibits, such as the early 2010s King Tut exhibit featuring artifacts from the tomb of the young Egyptian Pharaoh; The Cultural Treasures of Afghanistan which opened in May 2008 and traveled to other cities for 18 months; and an exhibition of China's Terracotta Warriors in its Washington headquarters in 2009–10. Its Education Foundation gives grants to education organizations and individuals to improve geography education. Its Committee for Research and Exploration has awarded more than 11,000 grants for scientific research and exploration. National Geographic has retail stores in Washington, D.C., London, Sydney, and Panama. The locations outside of the United States are operated by Worldwide Retail Store S.L., a Spanish holding company. The Society's media arm is National Geographic Partners, a joint venture between Walt Disney Television and the Society, which publishes a journal, National Geographic in English, and nearly 40 local-language editions. It also publishes other magazines, books, school products, maps, and Web and film products in numerous languages and countries. National Geographic's various media properties reach more than 280 million people monthly. Although Alexander Graham Bell is sometimes discussed as a founder, he was actually the second president, elected on January 7, 1898, and serving until 1903. The National Geographic Society began as a club for an elite group of academics and wealthy patrons interested in travel and exploration. On January 13, 1888, 33 explorers and scientists gathered at the Cosmos Club, a private club then located on Lafayette Square in Washington, D.C., to organize "a society for the increase and diffusion of geographical knowledge." After preparing a constitution and a plan of organization, the National Geographic Society was incorporated two weeks later on January 27. Gardiner Greene Hubbard became its first president and his son-in-law, Alexander Graham Bell, succeeded him in 1897. In 1899, Bell's son-in-law Gilbert Hovey Grosvenor was named the first full-time editor of National Geographic magazine and served the organization for fifty-five years (until 1954), and members of the Grosvenor family have played important roles in the organization since. Bell and Gilbert Hovey Grosvenor devised the successful marketing notion of Society membership and the first major use of photographs to tell stories in magazines. The chairman of the National Geographic Society is Jean Case. Michael Ulica is interim president and chief executive. The editor-in-chief of National Geographic magazine is Susan Goldberg. Gilbert Melville Grosvenor, a former chairman, received the Presidential Medal of Freedom in 2005 for his leadership in geography education. In 2004, the National Geographic Society headquarters in Washington, D.C., was one of the first buildings to receive a "Green" certification from Global Green USA. The National Geographic received the prestigious Prince of Asturias Award for Communication and Humanities in October 2006 in Oviedo, Spain. In 2013 the society was investigated for possible violation of the Foreign Corrupt Practices Act relating to their close association with an Egyptian government official responsible for antiquities. On September 9, 2015, the Society announced that it would re-organize its media properties and publications into a new company known as National Geographic Partners, which would be majority-owned by 21st Century Fox with a 73% stake. This new, for-profit corporation, would own National Geographic and other magazines, as well as its affiliated television networks—most of which were already owned in joint ventures with Fox (and later Disney, which later acquired a majority of Fox's assets in 2019, including a stake in National Geographic Partners.). As a consequence, the Society and 21st Century Fox announced on November 2, 2015, that 9 percent of National Geographic's 2,000 employees, approximately 180 people, would be laid off, constituting the biggest staff reduction in the Society's history. National Geographic Society's Administration Building in Washington, D.C. The Society also organizes the National Geographic Bee, an annual geographic contest for U.S. fourth- through eighth-graders. About 4 million students a year begin the geography competition locally, which culminates in a national competition of the winners of each state each May in Washington, D.C. Journalist Soledad O'Brien is the moderator of the Bee. She succeeded Alex Trebek, host of Jeopardy!, who moderated the final round of the competition for 25 years, from its inception in 1989 to 2013. Every two years, the Society conducts an international geography competition of competing teams from all over the world. The most recent was held in St. Petersburg, Russia, in July 2013, and had representatives from 19 national teams. The team from the United States emerged as the winner, with teams from Canada and India in second and third place. The Hubbard Medal is awarded by the National Geographic Society for distinction in exploration, discovery, and research. The medal is named for Gardiner Greene Hubbard, the first National Geographic Society president. The Hubbard Medal has been presented 44 times as of 2018[update], the most recent award going to Peter H. Raven. Not to be confused with IEEE Alexander Graham Bell Medal. The Society operates the National Geographic Museum, located at 1145 17th Street, NW (17th and M), in Washington, D.C. The museum features changing exhibitions featuring the work of National Geographic explorers, photographers, and scientists. There are also changing exhibits related to natural history, culture, history or society. Permanent exhibits include artifacts like the camera Robert Peary used at the North Pole and pottery that Jacques Cousteau recovered from a shipwreck. National Geographic Partners, a for-profit joint venture between 21st Century Fox (which owns a 73% stake) and the Society (which owns 27%), was established in 2015 to handle commercial activities of the Society, including television channels worldwide (which were already co-owned by the Society and Fox) and magazine publications. The Walt Disney Company acquired Fox’s share of National Geographic Partners in March 2019. Most of National Geographic Partners' businesses predate the establishment in 2015, and even the launch of National Geographic Channel in Asia and Europe by the original News Corporation (which 21st Century Fox is one of the successors followed by Disney in the late 1990s. The National Geographic Magazine, later shortened to National Geographic, published its first issue in October 1888, nine months after the Society was founded, as the Society's official journal, a benefit for joining the tax-exempt National Geographic Society. Starting with the February 1910 (Vol XXI, No. 2) issue, the magazine began using its now famous trademarked yellow border around the edge of its covers. National Geographic Kids: A version of National Geographic Magazine for children, launched in 1975 under the name National Geographic World. It has a U.S. circulation of over 1.5 million. There are also currently 18 local-language editions of NG Kids, with another half million in circulation. An Arabic edition of the children's magazine was launched in Egypt in early 2007, and more than 42,000 copies are distributed to all the public schools in Egypt, in addition to another 15,000 single copy sales. More recently, an Albanian and Polish edition were launched. National Geographic Traveler: Launched in 1984. There are 18 local-language editions of NG Traveler. The Society also ran an online daily news outlet called National Geographic News. Additionally, the Society publishes atlases, books, and maps. It previously published and co-published other magazines, including National Geographic Adventure, National Geographic Research (a scientific journal), and others, and continues to publish special issues of various magazines. K-19: The Widowmaker (2002), a feature film, submarine thriller based on the diary of a Russian submarine commander, starring Harrison Ford. March of the Penguins (2005), a French-made documentary for U.S. distribution with a new score and script, narrated by Morgan Freeman; it received an Academy Award for the Best Documentary in 2006. After a record $77 million theatrical gross in the United States, over four million DVD copies of March of the Penguins have been sold. Arctic Tale (2007), a feature film documenting the story of two families of walrus and polar bears, narrated by Queen Latifah. Sea Monsters (2007), inspired by a National Geographic Magazine article, is a 3-D large format and reality film, with a musical score by Peter Gabriel. Undaunted Courage: Meriwether Lewis, Thomas Jefferson and the Opening of the American West, a co-production for HBO by National Geographic Films, Edward Norton, and Brad Pitt, is a 10-hour mini-series of Steven Ambrose's award-winning book. Undaunted Courage: Meriwether Lewis, Thomas Jefferson and the Opening of the American West for HBO. In 2005, the National Geographic Society acquired the film distribution arm of Destination Cinema and entered the film distribution business. Television programs produced by the National Geographic Society are also broadcast on television. National Geographic television specials and series have been aired on PBS and other networks in the United States and globally for many years. The Geographic series in the U.S. started on CBS in 1964, moved to ABC in 1973, shifted to PBS (produced by WQED, Pittsburgh) in 1975, shifted to NBC in 1995, and returned to PBS in 2000. It has featured stories on numerous scientific figures such as Jacques Cousteau, Jane Goodall, and Louis Leakey that not only featured their work but as well helped make them world-famous and accessible to millions. Most of the specials were narrated by various actors, including Glenn Close, Linda Hunt, Stacy Keach, Richard Kiley, Burgess Meredith, Susan Sarandon, Alexander Scourby, Martin Sheen, and Peter Strauss. The specials' theme music, by Elmer Bernstein, was also adopted by the National Geographic Channel. The original News Corporation launched National Geographic Channel in Asia and Europe in the late 1990s, in partnership with the Society. The Society provides programming to the National Geographic-branded channels worldwide, while Fox Networks Group handles distribution of the channels and advertisement sales. The National Geographic Channel has begun to launch a number of sub-branded channels in international markets, such as Nat Geo Adventure, Nat Geo Music, and Nat Geo Wild. The U.S. domestic version of National Geographic Channel was launched in January 2001 as a joint venture of National Geographic and Fox Cable Networks. National Geographic Music and Radio (NGMR) is the music and radio division of National Geographic Ventures. The scope of the division includes National Geographic Live! events, digital music distribution, music publishing, radio content, Nat Geo Music TV channel (available in parts of Asia and Europe) and film and TV music. Clear Channel, Salem Communications and NPR were distribution partners. In early August 2007, National Geographic Ventures announced the existence of the then-recently formed division. The division was already creating music for its feature film and kids units. Initially hired to run the division were Mark Bauman, executive vice president of radio and video production, and David Beal, head of music labels, publishing and radio operations. ^ "National Geographic Education Foundation". National Geographic Society. Archived from the original on June 3, 2006. ^ "National Geographic Society". U.S. Department of State. ^ "National Geographic founders". National Geographic Society. Retrieved 2014-01-09. ^ Howley, Andrew (May 26, 2011). "NGS Celebrates 23rd Founders Day". NGS. National Geographic Society. Retrieved January 18, 2016. Though he wasn't one of the original 33 founders, Bell had a major influence on the Society. ^ Site designed by Shannon Roberts (April 24, 2007). "National Geographic CEO Says Nonprofit's Mission is Bringing the World to Readers". Mccombs.utexas.edu. Archived from the original on May 28, 2010. Retrieved June 6, 2010. ^ amyatwired, Author: amyatwired. "Jan. 27, 1888: National Geographic Society Gets Going". WIRED. Retrieved 2017-09-08. ^ "National Geographic magazine, is now a for-profit business thanks to Fox". The Verge. Retrieved 9 September 2015. ^ Paul Farhi (November 3, 2015). "National Geographic Society sets biggest layoff in its history". The Washington Post. ^ Mahita Gajanan. "National Geographic lays off staff following 21st Century Fox merger". the Guardian. ^ "Explorers' Bookmarks @". Nationalgeographic.com. 2002-10-17. Retrieved 2014-07-13. ^ "Bradford and Barbara Washburn, Climbers". National Geographic Society. Retrieved June 22, 2011. ^ David Braun (July 13, 2010). "Nat Geo awards Alexander Graham Bell Medals to GIS pioneers". National Geographic Society. Retrieved June 22, 2011. ^ National Geographic Society. "National Geographic: Exploration Starts Here". National Geographic Society. Retrieved 2017-09-01. ^ Paul Farhi (September 9, 2015). "National Geographic gives Fox control of media assets in $725 million deal". Washington Post. ^ "National Geographic History Magazine U.S Delivery". National Geographic Store. ^ Room, National Geographic Press (April 4, 2016). "National Geographic and MM Publications Ltd. Introduce Local-Language Edition of National Geographic Kids Magazine in India – National Geographic Partners Press Room". ^ "Daily Nature and Science News and Headlines | National Geographic News". News.nationalgeographic.com. Retrieved 2014-07-13. ^ "NG Libraries: NGS Publications Index Home". www.ngslis.org. Retrieved 2018-01-19. ^ "National Geographic Store". National Geographic Store. Retrieved 2018-01-19. ^ KILIAN, MICHAEL. "`K-19' uses fraction of the truth". chicagotribune.com. Retrieved 2019-02-11. ^ Catsoulis, Jeannette (2007-07-25). "Arctic Tale - Movies - Review". The New York Times. ISSN 0362-4331. Retrieved 2019-02-11. ^ Favorite, Crowd; Favorite, Crowd (2005-11-29). "National Geographic Creates New Distribution Arm For Giant-Screen Films – National Geographic Partners Press Room". Retrieved 2019-01-06. ^ Crook, Antony Reeve (3 August 2007). "Nat Geo Music tunes up for Italian debut". C21media. Retrieved 13 September 2018. ^ a b c Ed Waller (3 August 2007). "Nat Geo confirms move into music". C21media. Retrieved 13 September 2018. Wikimedia Commons has media related to National Geographic Society. Edison Gower-Bell Telephone Company of Europe, Ltd.